The player has been selected alongside more acclaimed footballers such as Robin van Persie and Andrés Iniesta. Davies was in fine form for Bangor last year. WHO HAS BEEN the best player in Europe over the past 12 months? Cristiano Ronaldo? Lionel Messi? Or perhaps you thought it was Leslie Davies of Bangor City. No? Davies – a player so obscure he does not even appear to have his own Wikipedia page – has oddly been listed as one of the candidates for Best Player in Europe award, according to the official UEFA website. 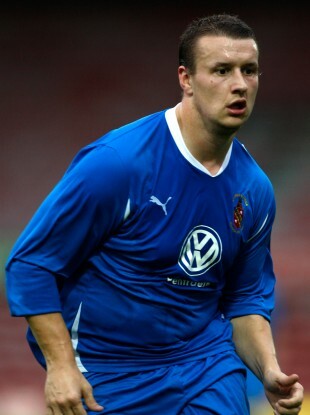 The 27-year-old striker, affectionately known as ‘Big Les’ by Bangor fans, enjoyed a fantastic 2011/12 season, scoring 16 league goals, in addition to being named Bangor’s Player of the Season, in an award voted for by the club’s supporters. His excellent form caused him to be linked with a big move to Nottingham Forest earlier in the year – speculation that ended after the player subsequently signed a new deal with the club. Journalists selected from UEFA’s 53 member countries voted for the player to be recognised for his performances, alongside the likes of Robin van Persie and Andrés Iniesta. Each jury member was asked to select five players for consideration, and the nominations will be reduced to three next month, with the winner set to be announced on 30 August. Lionel Messi won the award last year. Email “Bangor City's Les Davies on longlist for Best Player in Europe award”. Feedback on “Bangor City's Les Davies on longlist for Best Player in Europe award”.